The year-long across-the-board rally in cattle prices has been driven by a combination of favorable supply and demand factors which have aligned to push prices to record levels (Figure 1). On the supply side, the starting point is cattle numbers. 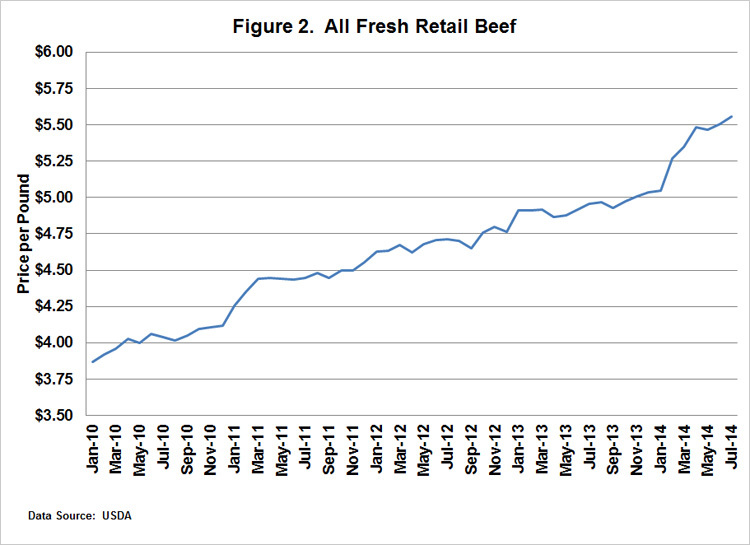 Beef cow numbers are the lowest since 1962, and last year’s calf crop was the smallest since 1949. Cows are the “factory” where beef production begins. Over the years, a combination of poor returns, weather problems in key areas, and strong cull cow prices to satisfy the demand for processing beef encouraged the industry to “tear down” much of its production capacity. Obviously, this situation didn’t develop overnight, but it did set the stage for what has happened in the past 12 months. Rising carcass weights have partially offset the decline in cattle numbers, but the net result has been tight beef supplies. 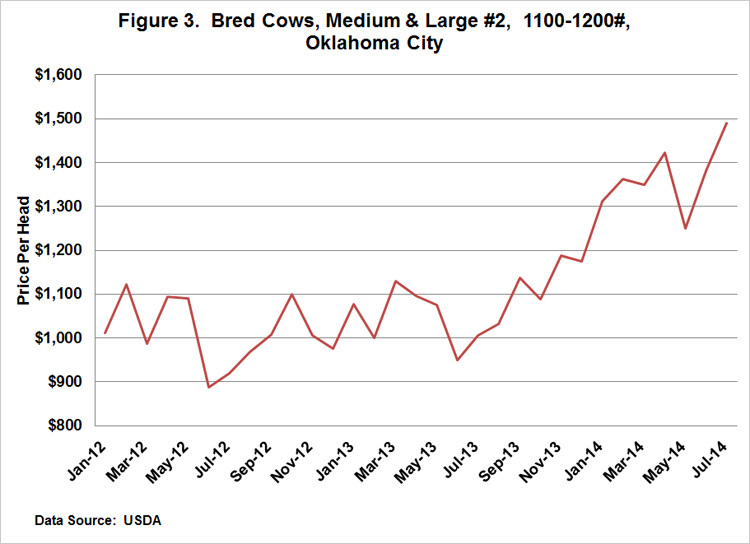 Record returns for cow-calf operators have prompted questions about when herd rebuilding will begin and the “factory” will expand. 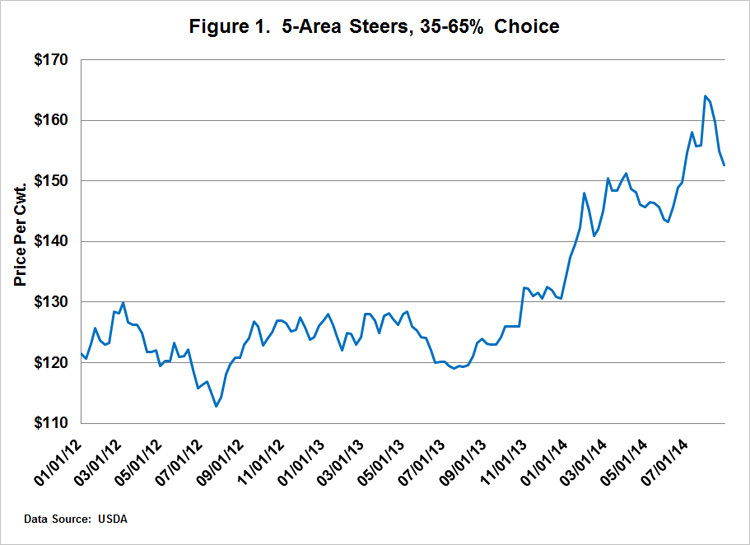 USDA’s midyear Cattle inventory report was inconclusive on this question, at least from an industry-wide standpoint. Areas that have received moisture and have seen grazing conditions improve appear to be taking the first steps toward bumping up production; areas that have not been so fortunate weather-wise are still trimming herds in an effort to hang on until conditions improve. These region-by-region differences make it difficult to determine whether the industry as a whole is expanding, contracting, or holding steady.